This post is my own commentary on some of the passages brought in Rav Kook Torah on the Parsha, a weekly teaching assembled and translated by Rabbi Chanan Morrison. In 1908, Rav Kook wrote that we still suffer from the sin of the spies today, and that in our hands lies the opportunity to rectify the spies' error and enter the land of Israel with all our gusto. How many of us deliberate (including myself) the pros and cons of living in Israel, as if a decision pertaining to the most delicate levels of the soul can be approached like a business deal? Well, you get a year of aliyah payments, free tuition, free health care and a discount on property tax. On the other hand, you have to buy all new furniture, deal with heap-loads of bureaucracy, lower your standards for your first job or two, and get through an August. But can you really approach the question of aliyah like this (I ask myself)? Can you really approach love like this? How silly would it sound if you overheard a conversation weighing marriage over such considerations? How humiliating to a heart testifying to true love! The truth is, love is a creative force - the love of the Jewish people for Israel is an integral part of the land's holiness. According to Rabbi Judah HaLevi, the Jewish people, the commandments, the land of Israel, the building of the Temple and the Hebrew language are all parts of a well-oiled machine which when assembled properly over millenia of Jewish history, produces prophecy - prophecy in the sense of the return of the living, Divine presence to the hearts and minds of the Jewish people, through their writings, their art, their blogs and their prayers, their Torah and their love for one another. Without any one of these components, the machine cannot work. The land is barren without its people, and the people are homeless without their land. Before the Israelites entered the Land in the time of Moses, they first needed to kill Sichon, the king of Heshbon. This teaches us that one should come to the Land of Israel bli heshbon - without making calculations. The Talmud records that Rabbi Abba would demonstrate his great love for the Land of Israel by kissing the rocks of Acre (Ketubot 112a) as he returned to the Land. What was so special about these rocks that Rabbi Abba would kiss them? 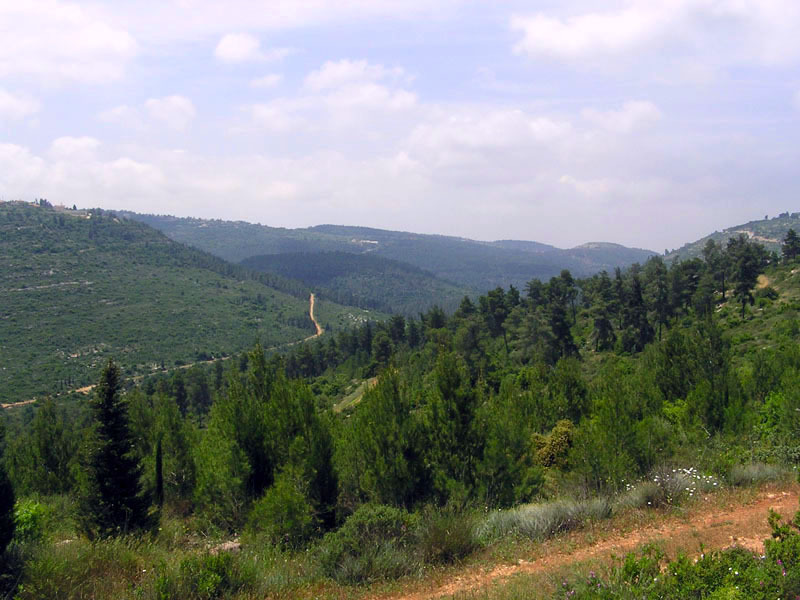 Rav Kook explained that if Rabbi Abba had kissed the soil of Eretz Yisrael, we would understand that his love for the Land was due to the special mitzvot that are fulfilled with its fruit - tithes, first fruits, the sabbatical year, and so on. The soil, which produces fruit, signifies the importance and holiness of the Land through the mitzvot ha-teluyot ba'aretz. But Rabbi Abba's love for the Land was not dependent on any external factors - not even its special mitzvot (see Avot 5:16; Orot p. 9). Rabbi Abba cherished the intrinsic holiness of Eretz Yisrael. He recognized that the special qualities of the Land – such as its receptivity to prophecy and enlightenment - go far beyond the holiness of those mitzvot connected to agriculture. Therefore, he made a point of kissing its barren rocks and stones. May each and every soul and body of the Jewish people be rounded up speedily to reunite and congregate in the land that is our inheritance from our holy fathers and mothers, and may we soon sing a new song in Jerusalem to the living God, whose love and justice will be apparent for all to see and contemplate like water fills the seas! I've been using Kaspersky anti-virus for a number of years, and I'd recommend this anti virus to everyone. Help support my dream of blogging full-time for Israel and the Jewish people! Fischer and the IMF - Queen for a time like this?